We had a wonderful Easter this year! We started the morning going to church to worship our risen Savior. It felt extra special this year after really studying about the crucifixion and resurrection through the book of John during BSF. Thinking of that sacrifice, especially now that I have sons of my own, is just overwhelming. I am so thankful the Lord loves us enough to be willing to cover our sins. My prayer this year was that we’d remember that sacrifice and atonement throughout the entire year, and live our lives fully showing our gratitude daily through our love, our actions, and our praise. It took us over an hour to get out of the parking lot and back home after church because it was so packed. Praise the Lord! So thankful for everyone that came to church that day and heard the powerful message of the gospel. After church we headed straight to my mom’s to spend time with my family and eat Easter lunch. The food was delicious as always. After we ate, we spent the rest of our time outside enjoying the beautiful day. I wrote Happy Easter, and Jase drew either an “X” or a cross through it. We’ll just go with a cross, right? The littles getting ready for the egg hunt. Girls and their drama! Ha! The boys’ Easter baskets are packed up. I never imagined we’d still be renting at this point, but here we are. Mom let them borrow some of her baskets & they could care less anyway. This was my favorite picture of the day. Such a cool shot of Jon & Kade! Jase is super competitive! Can’t imagine where he gets that from. Thankful my sister snagged this shot. I’m always the one behind the camera for the most part, so I’m always thankful to have a picture with my babies. Dying eggs with Aunt Stephanie and all the kiddos. The boys were totally worn out, but I wanted to head straight up to Dahlonega so they could have plenty of time to play at Papa’s. They took a nap on the drive there. Rare moment of all 3 boys asleep at once in the car! I’ve been practicing a little bit with Jase, so Papa got out the ball, bat, & tee. He can crush the ball! I can’t wait to watch him play some day after his daddy really starts working with him. Aunt Jean & Uncle Richard came by too. They loved snuggling all the babies. Uncle Will with sweet baby Kayton. Papa & his happy place…and the babies in their happy place. Both of the boys, about the same age sitting on the pig in Papa’s front yard…. I didn’t do Easter baskets, but Grammy & Aunt Jimmy both got the boys baskets full of goodies & they were excited about them. Very sweet. It was a gorgeous day & a sweet time with family. 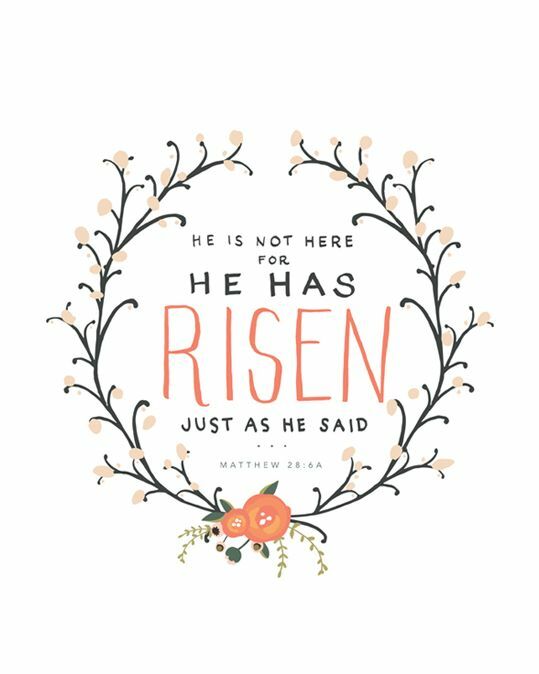 Thankful for the memories, and most importantly for what we’re truly celebrating on Easter.